Exciting news! We have just confirmed that the November Chicago Food Swap will take place at The Chopping Block, Chicago largest recreational cooking school and gourmet retail store. We are thrilled to partner with this Chicago institution. The swap will be held on November 10 at 3 pm. You will not want to miss this one so watch out for sign-up information. Summer is in full swing! 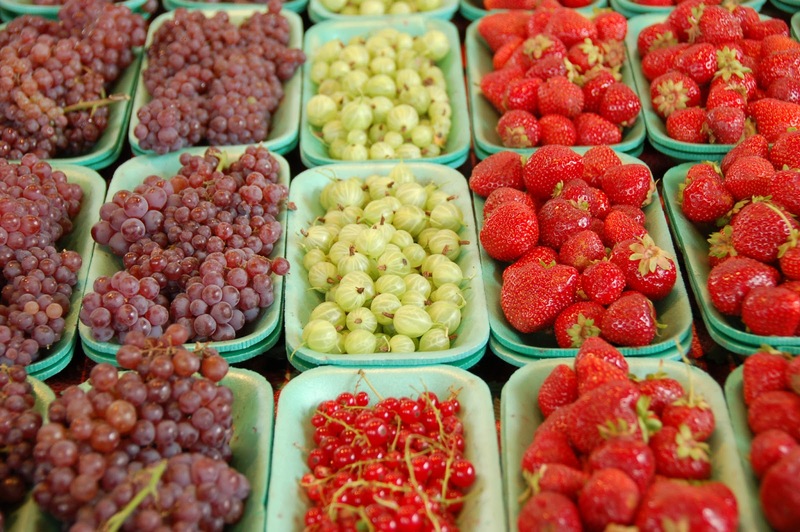 I love going to the farmers markets at this time of year and loading up on local fruits and vegetables. 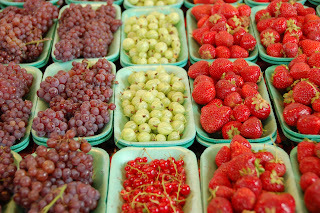 Right now we are seeing amazing stone fruits, like cherries, plums, apricots and peaches, as well as delicate berries, from the familiar blueberries and raspberries to more unusual varieties like tayberries -- a cross between a raspberry and a loganberry -- and gooseberries. What are some of the more unusual fruits that you have spotted around town? And don't forget about the amazing summer vegetables, like corn, squash, tomatoes, green beans and more! If you are into home food preservation, like me, you are spending your days making jams, pickles and sauces to enjoy all winter long. This week, I have put up black raspberry jam, pickled okra and tomatillo sauce. Maybe I will bring some of my creations to an upcoming swap! For those of who who have your own gardens, what crops are doing well this year? I hope to see some homegrown goodies at the August swap as well as lots of delicious treats made with seasonal ingredients. Don't forget to start the conversation about what you are bringing to the upcoming swap on our Facebook page. New to the Chicago Food Swap? Our Facebook page is also a great place to ask any questions you might have. August 4 at Green Home Experts in Oak Park. Registration is full, but you can add your name to the waiting list - spots always open up. If you signed up but can no longer attend the August swap, please let Emily know ASAP. Thanks! September 15 at Peterson Garden Project in Ravenswood Manor. Let us hope for a nice day so we can use both the indoor and outdoor space at Peterson Garden Project's education center, site of last December's swap. Registration will open on August 18. October 6 at The Savory Spice Shop in Lincoln Square. This soon-to-be-opened spice store in the bustling Lincoln Square neighborhood will be host for the September swap. We can't wait to check out their new space! 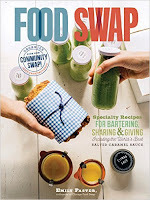 Update: Look for a book-signing with a local cookbook author as part of the October swap. November 10 at The Chopping Block in the Merchandise Mart. The Chopping Block has amazing kitchens and a huge inventory of retail items. What a terrific site for a swap! Get inspired and spend time with our community of food-lovers before the craziness of the holiday season starts.